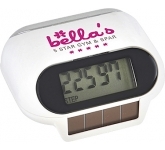 5 Top tips for buying promotional pedometers! The universe of promotional printed items offers many benefits to business owners. They can boost their brand exposure, allow everyone to find out about their products and services, and even reach a wide audience. However, not many products can actually be as useful as printed pedometers. That's why you ought to consider them for your next marketing campaign. 1. So why printed pedometers? 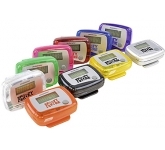 Not many people buy pedometers, sure, fitness enthusiasts love them and use them often. However, those of us who just want to track our steps and calories burned every day - well, we rely on apps to give us that info. But apps can malfunction. They can very rapidly drain the phone's battery. What's more, they can show different results every time we open them. So what's the solution? Well, step up branded pedometers! 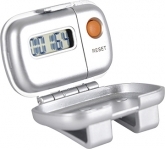 By giving away pedometers, you'll be giving away products that provide tons of use to their recipients. Furthermore, you'll be playing a part in the show called "make the world a better, healthier place". So, your business can easily become a reminder of healthy lifestyle and exercise, and that's not easy to achieve. But when you do achieve it, the benefits you reap will multiply every year. In terms of price, these corporate gifts are not the cheapest promotional products you can find. 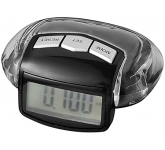 However, in terms of value, pedometers will become firm favourites of your current and potential clients. Therefore, your investment will prove to be worthy of your time and effort. 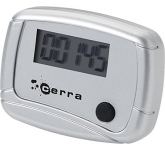 Every time someone glances at their pedometer, you'll gain yet another impression. That single impression can breed a whole new range of clients and generate revenue that will be hard to beat with any other promotional giveaways. We offer a variety of printing options on our vast range of promotional pedometers from screen printing, right through to the very latest in UltraHD print technology allowing us to reproduce full colour images and logos to a standard most suppliers can only dream of. Our team of professional graphic designers are always on hand to offer expert advice in product selection and to ensure that your logo and message is reproduced to the highest quality, representing your brand in the best possible way. 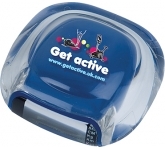 When it comes to distribution, pedometers are small in nature and as such this makes them perfect for handing out at trade shows, exhibitions, schools, universities, gyms and health and fitness clubs. They are also ideal for distributing at charity and fundraising events, especially those with a sporting nature such as charity runs. 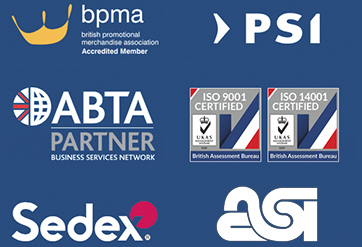 We continually check our prices against all the leading UK suppliers to ensure that you, our customer is receiving the very best possible prices. 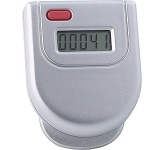 If you are searching for pedometers, and find the same product cheaper, just let us know and we'll match the price and back it with our Award Winning Customer Service - that's our guarantee!! 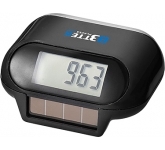 For additional information on our pedometers or to find out how promotional products can help your business to increase brand awareness, why not contact us and have a chat to one of our dedicated account managers.